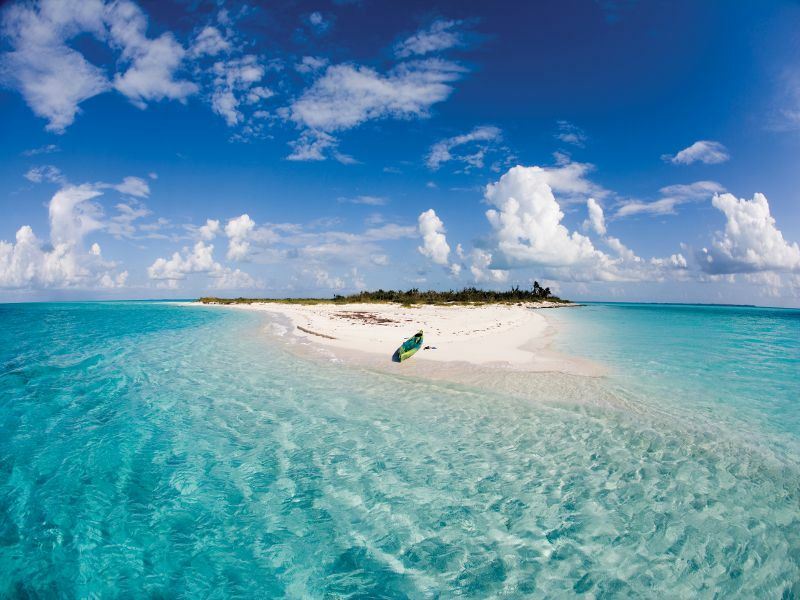 Lying off the tip of eastern Florida and stretching southeast across the Atlantic, the Bahamas are made up of some 2,000 islands if you include the cays, offering something for just about every type of traveller. Grand Bahama is ideal for families, with lots of children’s facilities and activities, while Nassau offers a 24/7 party. You’ll also find plenty of outdoor adventure, from diving and snorkelling to golfing and world-renowned bone fishing, along with quiet, romantic islands for enjoying the beautiful coral beaches in relative seclusion, and just about everything in between. The stunning white sand beaches and strikingly clear azure waters coupled with its tropical year-round climate, make the Bahamas wonderful to visit anytime of the year, but the best time to go really depends on the type of holiday you’re looking for. Whether you want a non-stop party, more budget-friendly rates or a taste of authentic, laid-back island life, we’ll help you decide when to go. Winter is the time most people head to the Bahamas to escape the cold. Mid-December through April is peak season, with the highest rates and the biggest crowds of the year, and it’s also the perfect time for partying 24/7. If you want to join in on the excitement, plan to visit during this time, but be sure to book well in advance for flights and accommodation. The off-season, from May through mid-December, typically brings the lowest airfare and hotel rates of the year, and you’ll have few crowds to contend with. If you’re concerned about the hurricane season, which officially stretches from June 1 to November 30, they’re actually rather infrequent here and you’ll have plenty of advance warning if a major storm should occur. The optimal time of the year for the best rates, fewest crowds and driest weather is the month of May and again, from about mid-November to mid-December. Bahamian temperatures vary little throughout the year, averaging in the mid- to upper-20s Celsius in summer and winter, though summer does bring higher humidity making it feel much hotter, as well as a greater chance of rain which lasts through fall. September and October present the highest risk for hurricane activity, with the islands of Grand Bahama, Abaco and Andros most likely to be affected, although it’s still a rather rare occurrence. The flight time from London to the Bahamas is roughly 9 hours, with flights landing at Nassau Lynden Pindling International Airport. British Airways flies non-stop to Nassau five times a week, or if you’d like to combine your holiday with time in a U.S. city , you might want to take a transatlantic flight to Miami, followed by a connecting flight to Nassau, Grand Bahama, or one of the Out Islands such as the Exumas, Eleuthero, Andros, Abacos or Berry Islands. British citizens who are travelling to the Bahamas don’t need to obtain a visa to stay for up to three months, although a passport that does not expire for at least six months after your date of entry into the country is needed for all travellers, including children and infants. English is the official language spoken in the Bahamas. You will notice the dialect and slang can be rather difficult to understand, more so on the Out Islands. Inter-island travel: If you want to travel around the islands, you’ll have a few different options. Bahamas Ferries operates fast ferry service from Nassau to Andors, Long, Exuma, Grand Bahama, South Abaco and Eleuthera, including Spanish Wells and Harbour Island. There are also much slower mail boats that sail between islands, carrying cargo as well as passengers, providing a cheap, adventurous way to travel, mingle with the locals and enjoy the scenery, though they aren’t recommended for those who are on a tight time schedule. 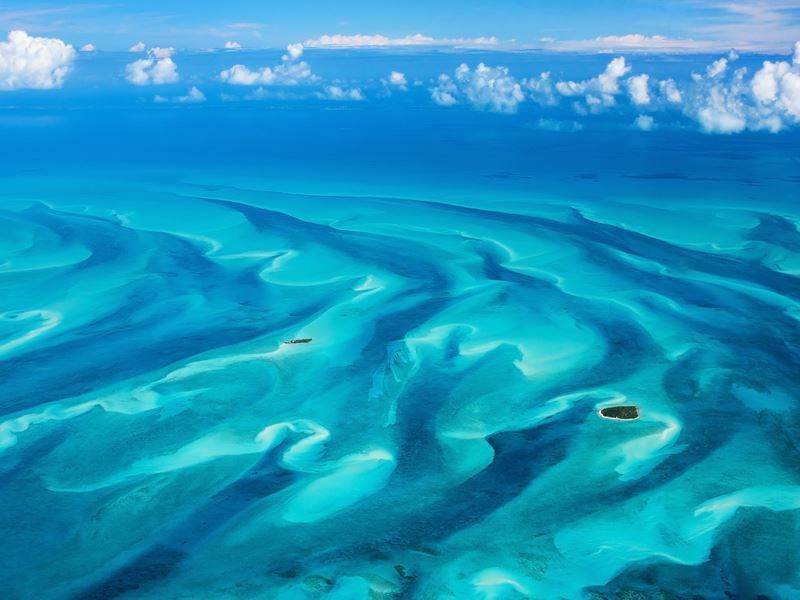 Multiple airlines, including Bahamasair, Sky Bahamas, Lee Air, Southern Air, Flamingo, Western Air and Pineapple, offer flights to various islands throughout the Bahamas as well. Driving: We don’t recommend hiring a car in the Bahamas for several reasons. It’s very expensive in Nassau and Freeport, around 60 pounds per day or more, and not much less than that in the Out Islands. Plus, there isn’t much scenery that you won’t be able to enjoy right from your hotel or resort as the islands tend to be dominated by scrub brush. If you do drive for the pure convenience of getting to wherever you want to go when you want to get there, be aware that Bahamian drivers tend to drive rather aggressively, there are massive potholes on the roads and signage can be very confusing or missing altogether. Bus: Bus service is very limited or non-existent, with the exception of Nassau/New Providence and Grand Bahama. The mini-buses in Nassau and on New Providence Island are locally known as jitneys. They’re a cheap way to get around and can be found on and near Bay Street, although understanding the routes can be challenging and destinations aren’t always indicated on the bus. Your best bet is to ask staff at your hotel or resort for help. Taxi: Taxis are readily available, found outside hotels and airports, identified by yellow licence plates with small Gothic black lettering indicating “Taxi.” Rates aren’t cheap – from Nassau Airport to downtown Nassau the fare is over 23 pounds currently, with fares based on two passengers. If you have more than that, there will be an extra charge for passengers as well as any extra luggage. Keep in mind that the taxis are equipped with meters, but most drivers refuse to use them, so you’ll need to agree on the fare in advance. The official legal tender in the Bahamas is the Bahamian dollar, though U.S. currency is accepted throughout the islands. When you’re in need of cash, ATMs typically offer the best exchange rates. On New Providence Island and Paradise Island you’ll find many. While there aren’t as many ATMs on the other islands, you can almost always find one somewhere, especially in airports and casinos. Keep in mind that most shopkeepers and casinos won’t exchange currency, however. For example, if you pay in Bahamian dollars, you’ll get Bahamian currency back; use U.S. dollars, and you’ll get U.S change. Electricity normally runs on 120-volt AC, which means those travelling from the U.K. where standard voltage is in the range of 220 to 240 Volts will likely need an adaptor, and possibly a voltage converter, to plug in electronics. There are no vaccinations requirements for those visiting from the U.K. Other than certain areas of Nassau and Freeport, the Bahamas are virtually free of violent crime. Petty crime like pickpocketing is possible, so as with any other destination it’s important to follow common sense and avoid walking alone after dark or doing any heavy drinking that might put you at risk. The HIV rate is relatively high here compared to many other countries at 3%, making it essential to use a condom if you have sexual relations with a partner you didn’t bring with you to the island. You’ll also want to slather on the sunscreen, wear a wide-brimmed hat and sunglasses, as sunburns are arguably your biggest health threat. GMT – 4 hours, - 5 hours in the summer. Bahamians love a good celebration, which means, odds are, there will be some kind of festival or special event happening when you visit. The biggest of the year is hosted on Boxing Day and New Year’s Day, known as “Junkanoo,” in honour of the freedom of slaves. There are street parades held throughout the islands, with Nassau holding the most elaborate events of all. Participants don incredible homemade crepe paper costumes while playing Junkanoo music, a mix of African rhythms, cowbells and loud brass that gets nearly everyone up on their feet and dancing. The Conch Festival is hosted every October, celebrating the nation’s most beloved food, a culinary spectacle that includes a conch cracking contest, live music and dancing. While the Bahamas have one of the world’s highest ratios of churches per capita, the islanders’ religious devotion doesn’t prohibit any visitor activities, with more of a libertarian attitude when it comes to personal morals here. Bahamians tend to be very friendly, hospitable and easy-going. That said, bathing suits are only acceptable around the pool or at the beach. In certain, more upscale restaurants, nightclubs and casinos, you may have to follow a dress code. As with most island nations, seafood can be found on many menus in the Bahamas, with the national dish being conch, a kind of mollusc that’s served deep-fried or raw with a twist of lemon. You can also expect many types of fish, rock lobster and crab as well as salt pork and side dishes like pigeon peas, rice, tropical fruit and potatoes. Coconut water and fruit juices are common non-alcoholic beverages, like rum is commonly used in mixed drinks like rum punch. The Bahamas also has its own native brews, like the 7% ABV golden lager Kalik, considered the national beer. Some of the best local fare can be found among the Arawak Cay’s collection of seafood shacks. No matter where you dine, expect service to be rather slow paced, even in fast food eateries. There are no hurried meals here. If exciting nightlife is what you’re after, Nassau is where you want to be. The majority of action can be found around Paradise Island and the downtown waterfront. While this may be the tropics, flip-flops and casual attire in general are not acceptable at the trendiest spots, like Fluid known for spinning the latest reggae jams, and Aura at the Atlantis Resort which draws a celebrity crowd to dance to island favourites, hip-hop and top-40 hits. Cover charges, VIP sections and dress codes are the norm.